Contact Renewal by Andersen of St. Louis! 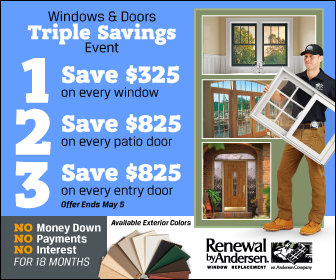 For a FREE in-home estimate on Andersen doors and windows, St. Louis area residents can call (314) 332-2364 or fill out the enclosed form. Don’t wait. Get started today!